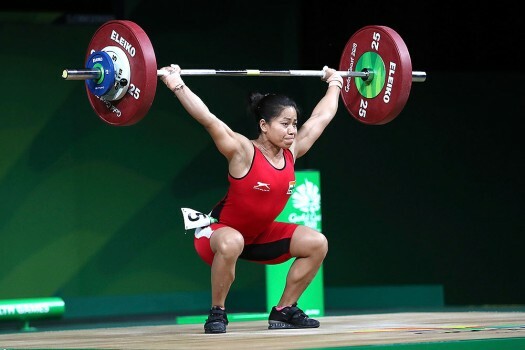 India's Sanjita Chanu competes in the women's 53Kg Weightlifting final during the Commonwealth Games,cin Gold Coast, Australia. Chanu won the Gold medal in her category. India's women's 53Kg Weightlifting Gold medalist Sanjita Chanu waves during the medal ceremony at the Commonwealth Games, in Gold Coast, Australia. 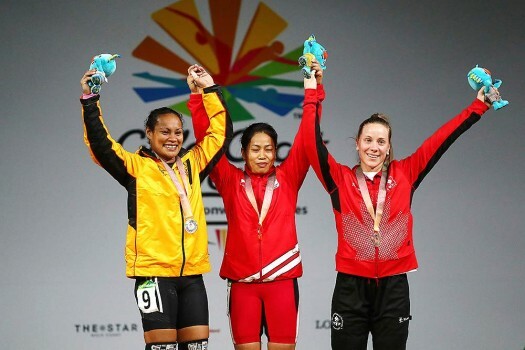 Weightlifter Khumukcham Sanjita Chanu won India its second gold medal at the Gold Coast Commonwealth Games by outshining in the women's 53 kg category event at the Carrara Stadium here on Friday.